Coral is a calcium carbonate built up by the skeletal remains of marine animals. Black, red and pink coral is considered the most valuable. Imitation coral is made from a variety of materials including is plastic, glass, porcelain and stained bone, while natural coral has a distinctive wood-grain texture that can help identify it as the real thing: sponge coral has visible pores like a sponge, while bamboo coral grows in segmented branches that resemble bamboo stalks, with brown sections partially covering a black under layer. Similar in shape to seed beads but much larger and with large holes, crow beads are cut from tubes of glass or plastic and have a smooth rounded, slightly oval finish. 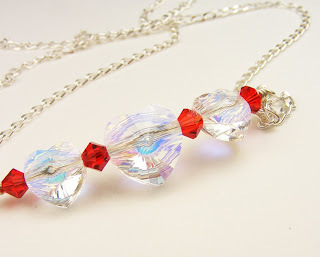 what a great dictionary - I learned alot from this - thanks for including my cinnabar earrings! fantastic, creative idea! 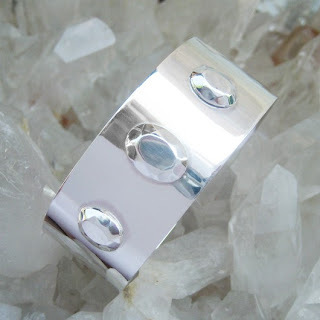 Thanks for including my cuff bracelet Erika! Erika, great information and beautiful examples. These posts are such a great idea, and contain so much information! Thanks for including my cubic zirconia earrings. I'd actually been wondering for quite some time what a cocktail ring was! Erika, your letter posts are great. Thanks for featuring my bracelet. This post is great. I can't get over this project you are doing! I am going to link it to my blog. It is fantastic. These glossary post you are doing are so neat! So fabulous! 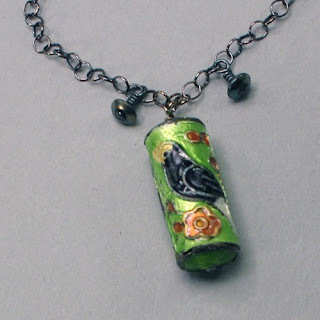 Thanks for making my necklace the pic of cloisonne! I just love reading this glossary. Not only am I learning a lot,but I get to see all the lovely jewelry too. 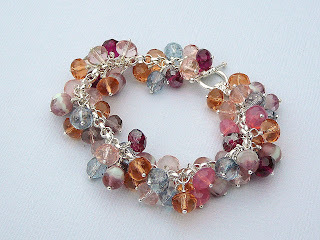 Thanks Erika for including our coral bracelet. Very informative list and gorgeous pics too! I love your blog! It's chock full of goodies and all things informative and tonnes of eye candy! This is impressive, Erika! 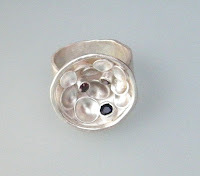 Informative for those who love to look at beautiful jewelry as well as those that make it! Hi Erika! Wonderful blog post.. 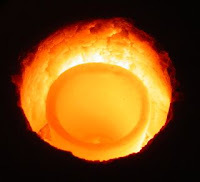 I don't think my comment made it through so here's another try: This is an impressive glossary, for those of us who enjoy looking at beautiful jewelry as well as for those that create it. Well done, these glossaries will make a great reference source. Very interesting! 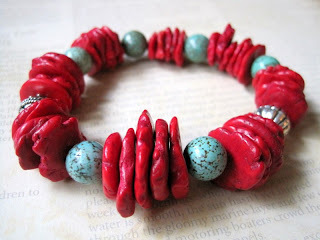 I own an amazing cinnabar bangle, really interesting to know the detail of what it's made of. 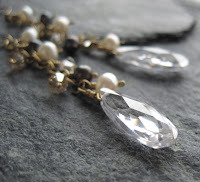 Great info and you have some lovely jewelry pics to accompany it! i save these all pictures in folder.I will transfer these pic's to mobile then make them wallpapers of mobile screen.